Home / Posts / News / A First Look at Universal’s New Diagon Alley Area! A First Look at Universal’s New Diagon Alley Area! 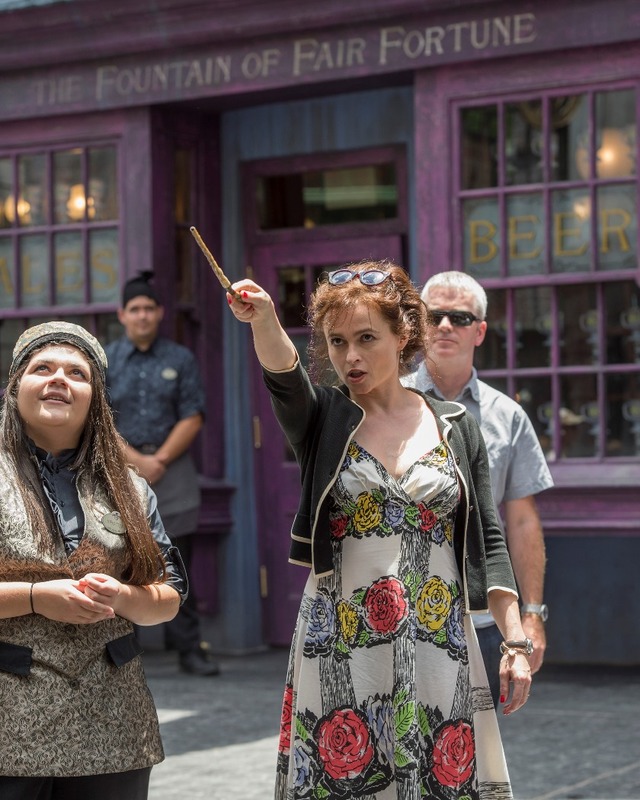 FloridaTix founders Paul Stobbs and Tony Seaman were excited to attend the hugely-anticipated VIP preview of Universal Orlando’s The Wizarding World of Harry Potter – Diagon Alley and they’ve brought back all the juicy details for us to share with you! On the night of the preview, Universal announced that this amazing new attraction will open to the public on Tuesday 8th July. The evening began by boarding the Hogwarts Express at Hogsmeade Station in Universals Islands of Adventure. 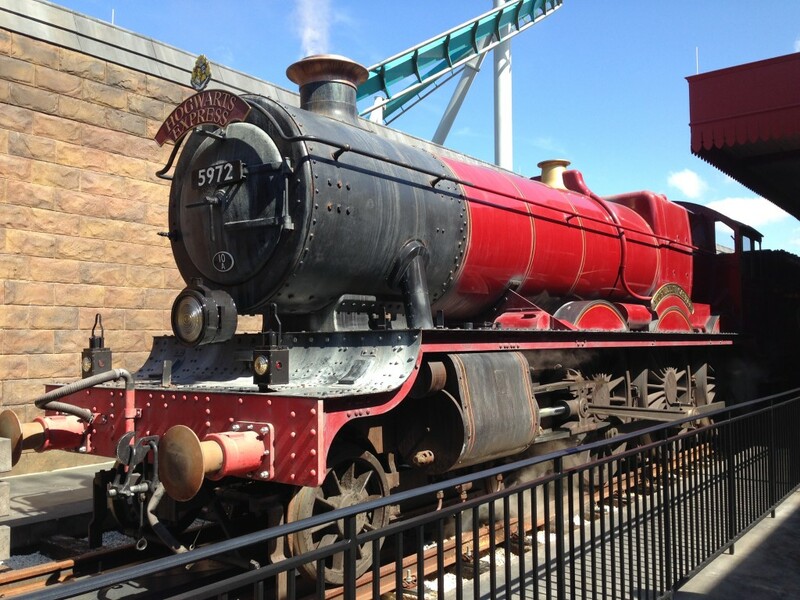 The Hogwarts Express is a real train journey connecting Hogsmeade with Platform 9¾ at the newly-built Kings Cross station, which is in the Universal Studios park. So as well as being another amazing experience for fans, it’s also a totally new way to travel between Universal’s two theme parks! The Hogwarts Express doesn’t disappoint! You cant help but be taken back to a golden age as the steam train pulls into the station and you step aboard into one of the sliding door compartments. At the insistence of JK Rowling, every detail is just as it was in the Harry Potter films. The journey to Kings Cross takes just over 4 minutes and is thoroughly entertaining; out of the windows you’ll see Hagrid riding a flying motorcycle and the Weasley twins flying on their brooms. There are also views of Hogwarts, scenes from the English countryside and scenes from the streets of Harry Potter’s London, including the Knight Bus. You’ll feel like you are in a scene from the films as you see the shadows of dementors and other characters on the windows of your compartment door. The Hogwarts Express also runs in the opposite direction, taking passengers from Platform 9andfrac34; back to Hogsmeade. 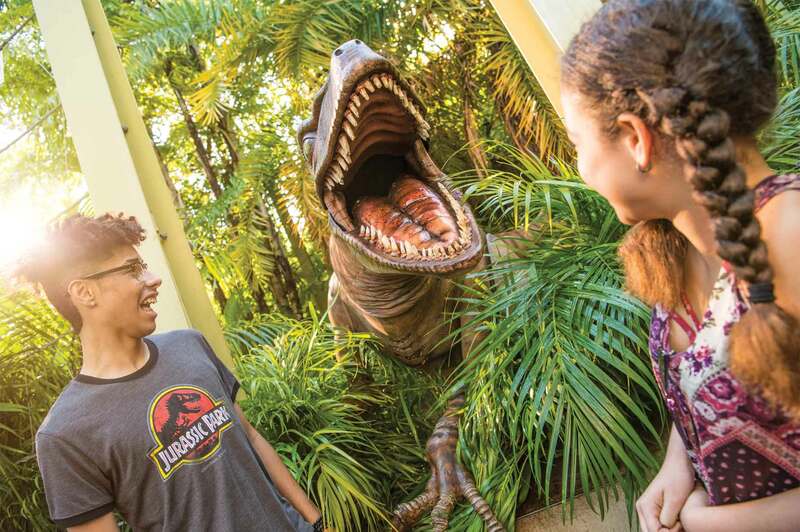 This experience has different views and we look forward to being able to experience it once the attraction has officially opened! The red carpet was laid out to welcome stars from the Harry Potter films, including Helena Bonham Carter (Bellatrix Lestrange), Robbie Coltrane (Hagrid), Tom Felton (Draco Malfoy) and Warwick Davis (Griphook). After an introduction from Tom Williams, Chairman of Universal Parks andamp; Resorts, a spectacular firework display was followed by Hagrid (Robbie Coltrane) inviting us to enter Diagon Alley. Its hard to put into words how spectacular Diagon Alley really is. Again, you feel just like you’ve stepped into a scene from the Harry Potter films. The attention to detail is incredible and you could spend hours exploring the various shops that feature in the films, such as Wiseacres, Madam Malkin’s Robes for All Occasions and Weasley’s Wizarding Wheezes. Walking around Diagon Alley, Horizont Alley and Knockturn Alley, you can use your interactive wand (available from Ollivanders Wand Shop) to cast some magic spells! You will meet wizards and witches along the way who will teach you the spells required to make skeletons dance, doors open and lanterns light up at 25 responsive locations. Drink where the Wizards drink! Feeling hungry or thirsty? There are some fantastic themed places including The Leaky Cauldron, which serves draft beers like Wizard’s Brew (brewed specifically for Diagon Alley) and for the little ones, Fishy Green Ale. One place where there’s sure to be long queues is Florean Fortescue’s Ice Cream Parlour; our favourite ice cream here was the Apple Crumble flavour, but we suspect the Butterbeer flavour will be most people’s choice. And of course, there’s Diagon Alley’s star attraction Harry Potter and the Escape from Gringotts. As soon as you enter the lobby of Gringotts Bank you will realize that this is no ordinary attraction…..
Once through the bank’s front door, you enter an elegant rotunda with an incredibly high ceiling. You are free to roam around the spacious bank lobby area and approach various goblin bank tellers, all hard at work counting money or recording entries in the banks ledgers. Using the latest animatronic technology, these incredibly life-like characters respond to sound and movement as guests come close. 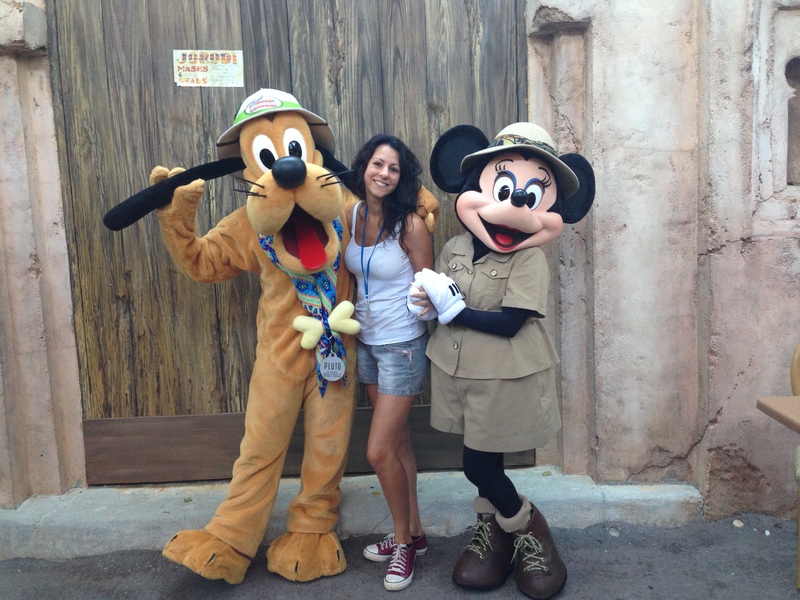 You are allowed to stay as long as you like in the lobby and make the most of this incredible photo opportunity! As you leave the lobby, you will pass a few bank vaults before having your photograph taken for security purposes. This is actually a creative way to encourage guests to purchase a Gringotts security ID to collect after the ride – not cheap but a wonderful way to remember your experience in the bank. Passing by various offices, you will see the silhouettes of Harry, Ron and Hermione and catch a glimpse of the story that is soon to unfold. This is essentially a queuing area but distractions such as animated images on newspapers make sure that the wait is much more interesting than most rides. 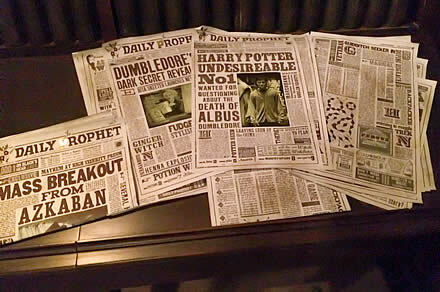 Guests then enter Bill Weasley’s office where Griphook explains the rules of muggles’ visits to Gringotts Bank. One final waiting area involves an impressive elevator ride on which you appear to travel miles down into the cavernous vaults of the bank. Once out of the elevator, it’s time to grab a pair of 3-D glasses and hop aboard a 12-seater vehicle on which you will experience an incredible roller-coaster ride with 3-D motion based effects. Prepare to be chased through the bank’s vaults by a fire-breathing dragon, an enormous snake and come face-to-face with Bellatrix Lestrange. Will you make it out in one piece?